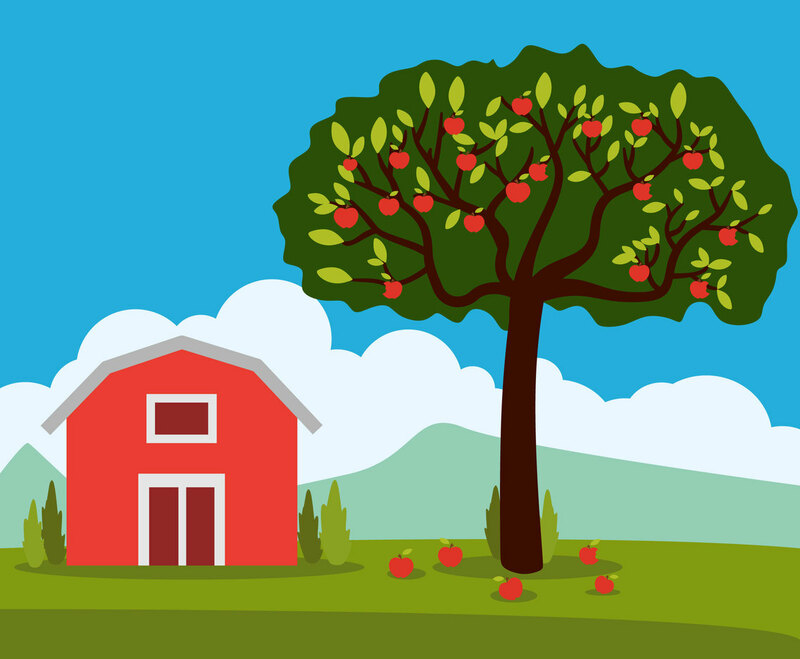 A big apple tree vector illustration. It is illustrated near to a big red barn with mountain countryside landscape view. It will be nice as part of children book illustration or anything related to agricultural or countryside design theme.